Antonio Martinez, general manager from LIPTOSA presents Methplus, a combination of plants and algae extracts, with high content of sulfur and biological activities analogue to the Methionine. 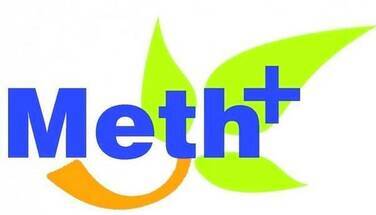 METHPLUS® It is a combination of plants and algae extracts mainly of European origin with high content of sulfur and with biological activities analogue to the Methionine. METHPLUS® in the diet acts as an adjuvant of the Methionine, increasing the bioavailability of the aminoacid. METHPLUS® may replace up to 1,5kg of synthetic DL-Methionine reducing the cost of the feed. Product´s development was supported by European Union funds and 3 years long investigation program in collaboration with The Centre for Industrial Technological Development (2010 -2013, CDTI). METHPLUS® is a nutraceutical additive manufactured by LIPTOSA following the standards of European quality, meeting the norms of traceability and ensuring a uniform result in terms of composition and on farm results. METHPLUS® contains precursors and intermediate products of Methionine, folic acid and recyclers, thanks to the natural components that are provided y its ingredients (plant extracts). METHPLUS® is an effective and profitable replacer of DL-Methionine in all feeds used in livestock production (pig, poultry, ruminants, aquaculture, petfood) increasing the bioavailability of the Methionine from the raw materials included in the diet.